Yamaha fans have been touting the new R1 since it’s makeover debut in 2015, and it now has the stamp of approval from Brock Davidson as well. “Yamaha really stepped up to the plate on this one, and to date, it’s one of the strongest stock engine 1000cc bike we’ve ever tested with our products,” said Brock’s Performance President, Brock Davidson. The all-new Brock’s Performance Cat Delete Slip-On is now available in the ever-popular Alien Head 2™ configuration. 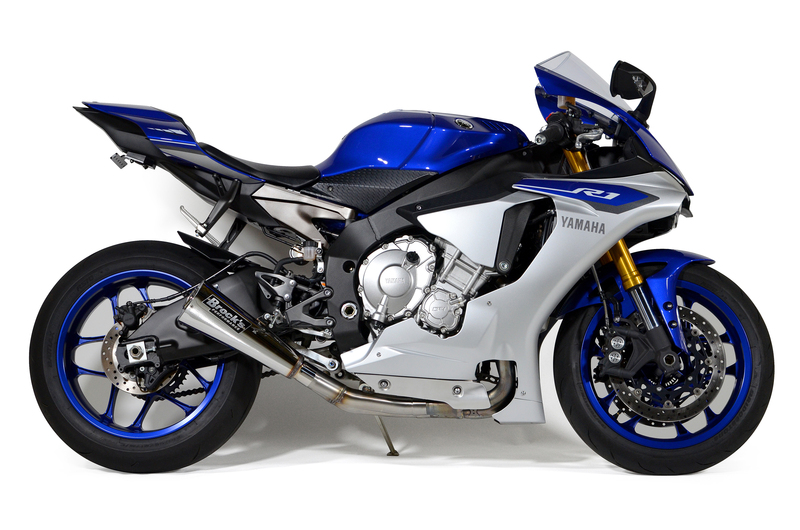 The crossplane crankshaft engine of the Yamaha R1 already delivers one of the most unique sounding exhaust notes in the entire supersport category. The addition of the Alien Head 2™ slip-on exhaust compliments the already thrilling exhaust note perfectly. 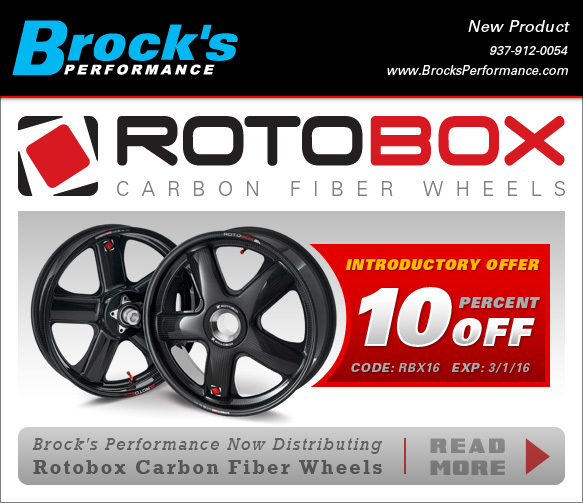 Combine that with an astounding 74% weight savings, and the end result is a stunningly crafted, lightweight exhaust system. 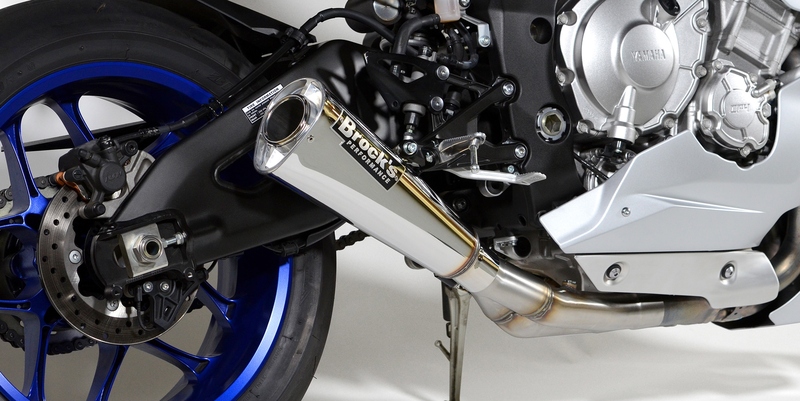 With this exhaust system highlighting the ‘Stock-to-Brock’ combination, Brock’s Performance recorded a remarkable 200hp on pump gas and 209hp on race gas (STD scale). 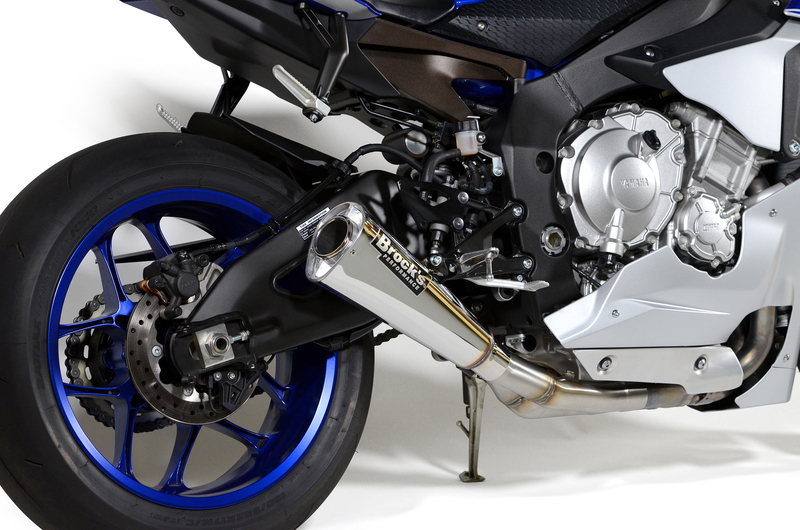 Brock’s Yamaha Exhaust give the bike a great look.